receiver. Distorted fractions of radio signals and static from all over the globe resonate into the room from the little box and mix with deep electronic reverberations from Kiloton own sound systems. A sound with distinct references to the instrumental dub-music of Jamaica, but in a more brisk version, which in interplay with the crackling sound fragments from the radio receiver creates an emotional expression that communicates without words. An almost lost language – which is now released as an album. For over two years Kiloton have elegantly recorded, edited, manipulated, distorted and modulated the crackling – and globally originating – short wave sound samples to form pieces in the complex, melodic and challenging puzzle that is his musical creativity. Having produced and performed for several years as well as contributed to several releases both domestically and abroad, Kiloton aka. 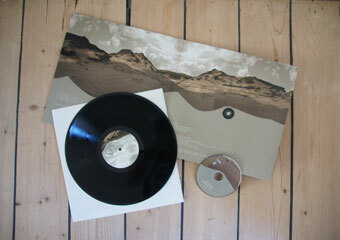 Mads Weitling now finally releases his solo-debut ‘Language Lost’, which hits the street on Friday, August 27 2010. An abstract, wordless and dark dreamy album that carries a distinct Nordic tone. 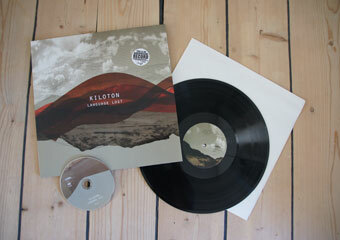 Characterized by sharp, abrupt rhythms under deep, smouldering and crackling dubscapes, Kiloton has developed an almost cinematic sound that leads its listener through changing moods; beautiful and sincere as well as melancholic and thoughtful. MOTORSAW aka the Danish Sune Petersen has programmed a video instrument that reacts to the music and a tactile input. Through video feedback he has made an everchanging and unpredictable video track that has been recorded as an un-edited one-take, chosen among several iterations of the same proces. Plasmarella aka Barbara Nordhjem, Danish but living in the Netherlands, has chosen to work with slowly changing close-up footage of concrete objects that through the artistic proces takes on an highly unfamiliar character. The audiovisual album can be bought in retail stores as a beautiful lp/dvd bundle at regular album price, but is at the same time also available for free download online. Language Lost is released under a Creative Commons license, where private consumers are encouraged to not only download the audio and video contents, but also further distribute it for their friends. Behind the release stands Urlyd Audiovisual Recordings, home also of ao. Tone. The ideology of the label is to embrace net culture and enthusiastic music lovers’ impulse to share with each other.